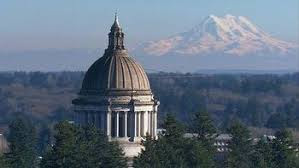 The Solar Fairness Act (SB 5223) has just been introduced to the Washington State Legislature. The bill, sponsored by Senator Guy Palumbo and 22 other democratic and republican senators, would provide an urgent update to net metering law, which has driven installation of more than 75% of Washington’s solar capacity. Net metering ensures that solar owners can use the power they make, earning full bill credits for their electricity. More than 90% of Washington voters live in the 18 utility districts that have surpassed Washington’s outdated net metering threshold, which is among the lowest standards in the nation. Doors could shut at any time for new solar customers in those districts, and existing customers’ net metering contracts could change. In the absence of legislative direction, at least four utilities have already undermined net metering. Net metering is a successful policy worth building on. Washington’s 18,000 net-metered systems on homes and businesses have generated more than $460 million in private investment, plus 4,000 family-wage jobs, and growing. Washingtonians should have the right to own and use all of the power they generate on their homes and businesses. Updating the law to allow more Washingtonians access to solar is vital for our state to achieve our renewable energy goals.